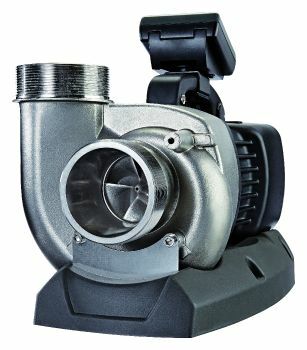 Maximum Flow Rate: 48,000 Litres / Hour. Maximum Head: 4 metres. Inlet / Outlet Connection: 3" BSP Male Threaded. 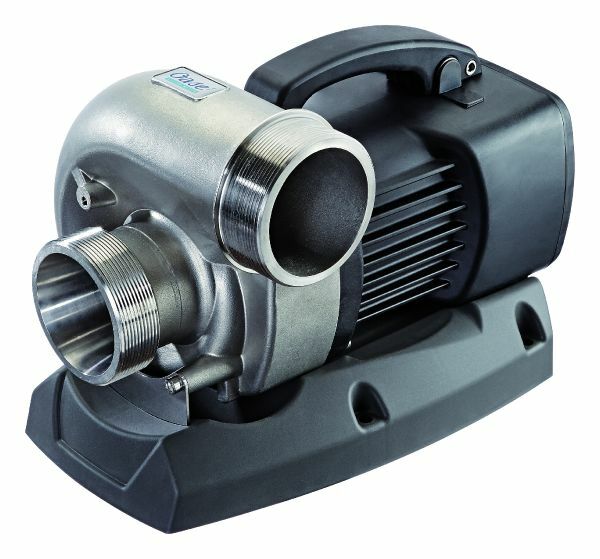 Maximum / Minimum Power Consumption: 320 Watts / 70 Watts (electronically controllable). 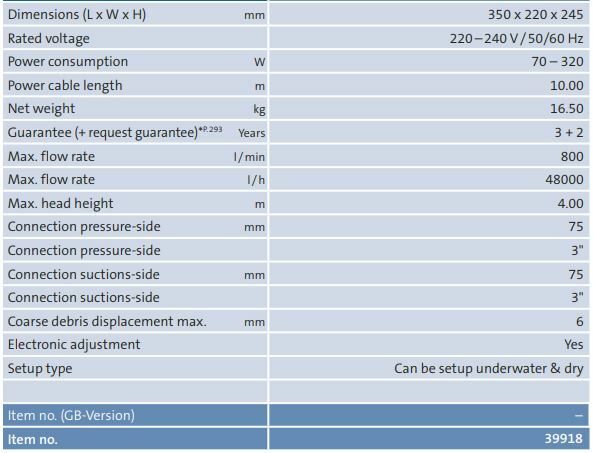 230V / 50Hz Single Phase electrical supply. 10m of mains cable supplied. 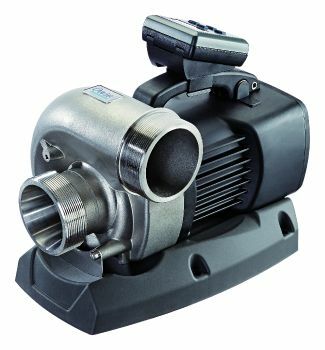 The OASE AquaMax ECO Titanium 50000 pump incorporates ultra energy efficient ECO Motor Technology to provide the lowest possible running costs. 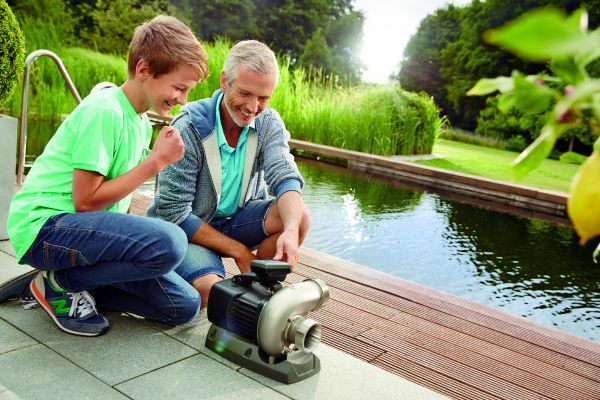 Aquamax ECO Titanium pumps are incredibly robust with stainless steel castings and are designed to supply water to larger pond filters or can be used to create impressive waterfalls and streams. The pump is ideally suited to pull water through larger koi pond filters in a gravity fed, dry mounted scenario. The Titanium Eco pump is designed to handle solid particles such as fish and Koi waste, silt and detritus and is capable of continuous underwater or dry mounted (Flooded Suction) operation. Flow rates of up to 48,000 Litres/Hour (10,660 Gallons/Hour) are achievable and has a maximum vertical lift capability of 4 metres (13ft). The Aquamax Eco Titanium 50000 is fitted with a detachable digital controller allowing the water flow to be electronically regulated, which will also reduce the power consumption accordingly (70 watts minimum / 330w maximum). 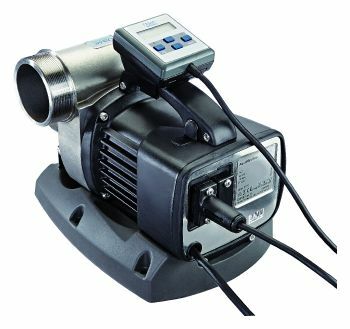 The controller takes its power directly from the pump and is supplied with 10 metres of cable allowing the controller to be positioned in a suitable location if the pump is used in a submersed state. 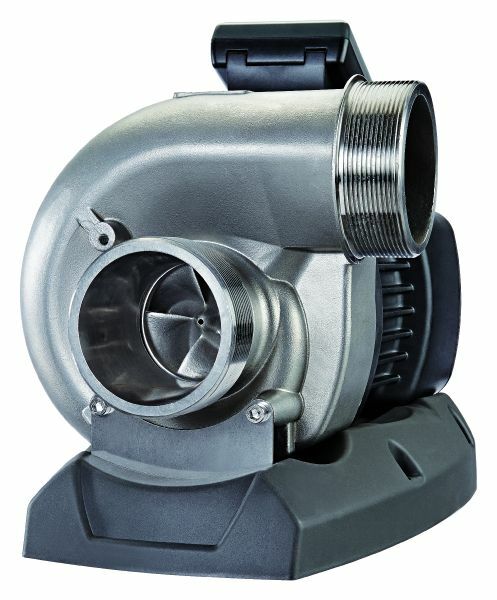 OASE AquaMax Eco Titanium 50000 - Technical Information. OASE AquaMax Eco Titanium 50000 - Performance Curve Chart.